The wheels must be added, cloned and set yourself!Distribution completes basic, so paint will not detail all the same. The developers are not so difficult to create new models and major changes have been made ​​on the part of the range, they are in Forza Horizon broken down into smaller objects for in-game animations turn signals, tail lights and the like are also added to the texture glow indicator in the cabin, and it previews I kept the car, they are in the archives of the “+” at the end of the name of the car. Even changed the texture of scratches, but it was a bonus and so, did not save. 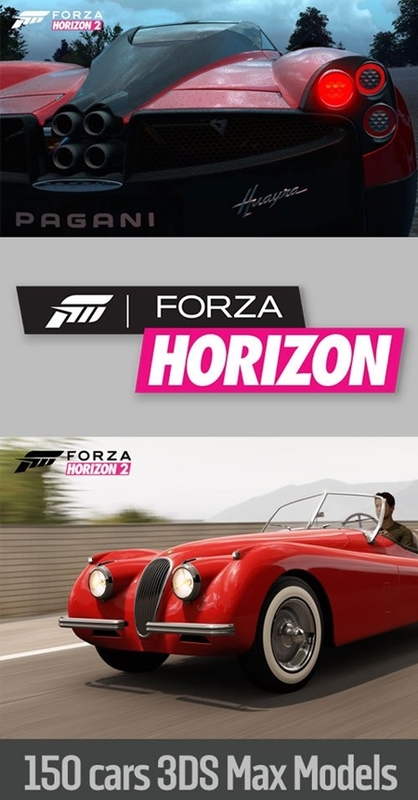 The total number of vehicles in the game is small and DLC come easier than Forza Motorsport 4, only 6 cars instead of 10, and those repetitions, but one or two.